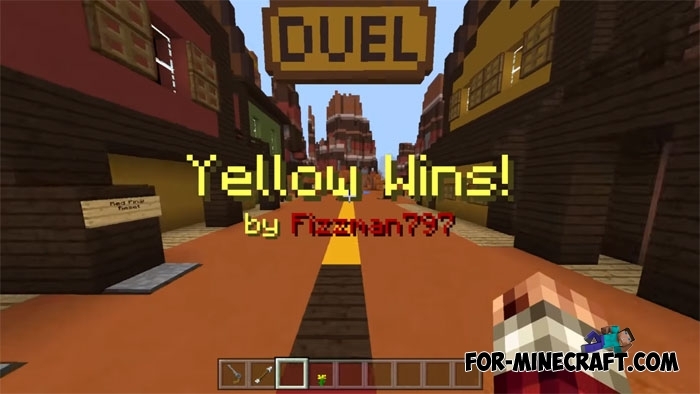 The Duel is the place for real duels where there is only one winner. 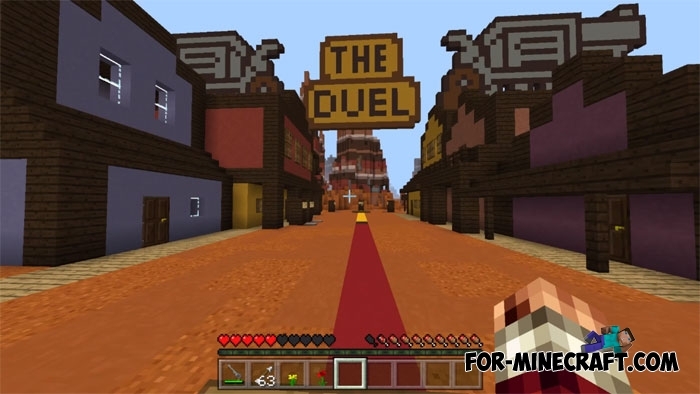 This map is designed for two players and includes a small texture pack in order to turn the world into a wild west. 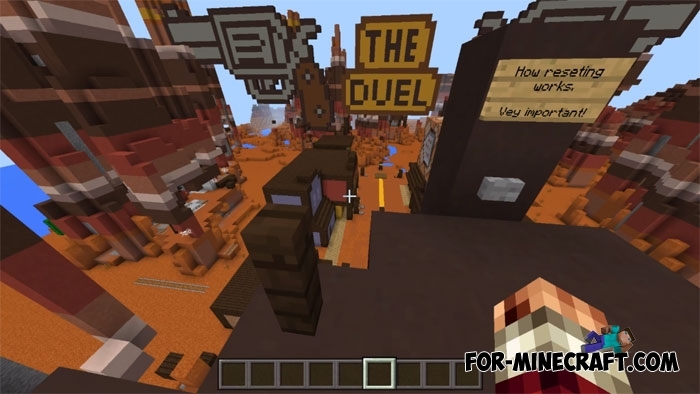 There are revolvers and ammo and also special mechanisms due to which the game is automated. You only need to click on the prepared buttons to start or finish. There are only two shooters facing each other. Before starting the game, carefully read the rules. Be sure to install the textures. Simple Redstone Mechanisms map for Minecraft PEOn this map you will find about a dozen completely different mechanisms designed for mining cobblestone and water, turning on and off effects..